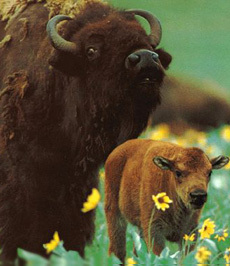 An American bison mother and calf Photo courtesy Ecofriend.org. This is Page 3 of a three-page article on the American bison. Click on the black links below to visit other pages. Of the three animals highlighted in this article—bison, Asian Water Buffalo and African Buffalo—only the Asian Water Buffalo has been domesticated. 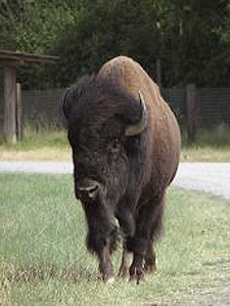 However, bison have adapted to ranching, and while they are wild animals, are not considered extremely dangerous. The African buffalo, on the other hand, are one of the “top five” killer animals in Africa. They are known to gore and kill several people a year. The American Bison. Don’t call me a buffalo! Photo by Robin Hindle | SXC. 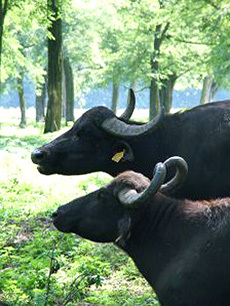 The European Water Buffalo, descended from the Asian Water Buffalo. Photo by Gabor Palla | SXC. Neither bison nor buffalo but a close relative of our everyday dairy and beef cattle. 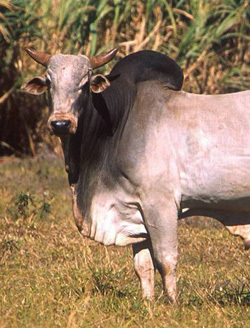 European cattle are descended from the Eurasian subspecies; zebu are descended from the Indian subspecies. 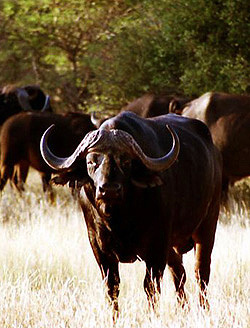 The Cape (African) Buffalo looks similar to the European/Asian species (see above), but has much longer horns. Photo by Stephan Ehrbar | Wikipedia Commons.